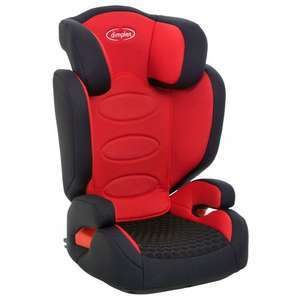 Dimples Ocean Isofix Car Seat Group 2-3 is suitable for use from 15- 36kg. Isofix system allowing direct connection to the car Isofix anchorage system. Isofix for £29.99 sounds fab..... Never heard of the brand, one review on Amazon - one review only and its a 1 star review..... the seat is not online at smyths so perhaps discontinued?